Jihadi Brides - What Can We Say? 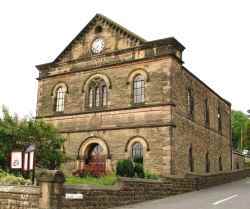 Home » Pilgrim’s Baptist Blog – Crich Baptist Church » Topical Issues » Jihadi Brides – What Can We Say? On the surface we may find it very difficult to understand how an intelligent, well educated young woman from a caring family can be drawn into the barbaric world of jihad. The documentary made it clear that these are thoughtful, intelligent girls who have made their own choice, albeit lacking the maturity to see through the online propaganda which has ensnared them. But the media’s perplexity, to my mind, shows a lack of understanding of young people and perhaps underestimates the seriousness with which many approach life. As young people reach their mid teens and become aware of the grievous state of the world around them, it is natural for them to ask questions about the purpose of life and to desire to make a change. These young Muslim girls started off with a desire to live out their faith more wholeheartedly, in accordance with the will of the God they believe in. We may identify with this quest for meaning, integrity and commitment. Mainstream youth culture is not offering a great deal to young people with its vacuous celebrities, consumerism and an interpretation of religion which presents all paths as cultural phenomena – interesting but irrelevant. So what can we as Christians say to young people who are seeking meaning and purpose as they pass through this questioning and troubled phase of their lives? 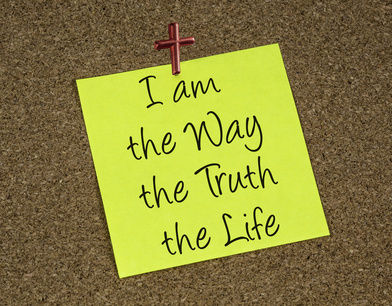 The Lord Jesus Christ said most clearly “I am the Way, the Truth and the Life”. He could not be more different from Islamic State’s preachers of hatred and violence, and instead offers a wisdom that is pure and peaceloving. He holds out a clear purpose – becoming more like Him in His holy character and becoming part of a community which encompasses people from every tribe and nation. One thing that we have in common with the young jihadis is that we take the hereafter seriously; as we sung in our Easter hymn, “Christ has opened Paradise”. To join His kingdom you do not have to board a plane like Aqsa, but must instead leave behind your old life and begin again by seeking His forgiveness. When taken seriously, it is a step just as radical as the one these young girls have taken, but one that leads to life, health and peace.